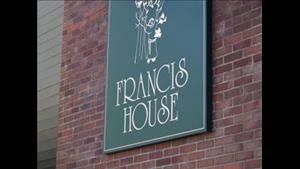 The Sacramento Bee is reporting that the Catholic Diocese of Sacramento has decided to de-fund Francis House, a local nonprofit agency serving the city’s homeless population, because its new director is pro-choice and supports marriage equality. If Hubert had done her homework, she would have found that the truth actually contradicts Eckery’s spin: a majority of American Catholics agree with Rev. Whitmore that LGBT Americans deserve the freedom to marry the person they love. So, just to recap: a large Catholic diocese has decided to de-fund a major provider of services to the homeless population in a large city because the agency’s director — a non-Catholic religious leader who is not an employee of the Catholic Church or any of its affiliates — has spoken publicly in the past about her support for marriage equality and reproductive rights. The remarks in question were made before she took the helm at Francis House, and were not delivered in her official capacity, but rather as a religious leader and concerned citizen. The Catholic Church appears to be trying to regulate the speech, actions, and beliefs of not only its members and clergy, but anyone, Catholic or not, who serves in a leadership capacity in an organization receiving church funding in any amount. Of course, the real tragedy is that it’s the 25,000 homeless men, women, children, and youth served by Francis House who will suffer the most as a result of this decision. But I would be remiss if I failed to point out a painful irony. De-funding services to the homeless over abortion and marriage equality may bring the Diocese of Sacramento one step closer to ideological purity in the eyes of Catholic Church, but it also moves them that much further away from the whole “feed the hungry, clothe the naked, heal the sick, welcome the stranger” thing that they profess to care about. I think that’s a tragedy too.